As Senior Vice President of Operations, Brian Burke oversees GCG’s 60,000-square-foot Mail, Call and Processing Center in Dublin, Ohio, which supports the hundreds of active class action settlement administrations, restructuring and bankruptcy administrations, and mass tort settlement programs GCG has in progress at any given time. Mr. Burke has overseen many of GCG’s most challenging Contact Center programs. He was at the helm of the Gulf Coast Claims Facility, for which GCG handled seven million phone calls over the life of the program, as well as the Deepwater Horizon Economic Settlement Program, the Indian Trust Settlement Program, the WorldCom Settlement, the American Airlines Chapter 11 proceeding, the In re Vivendi SA Securities Litigation administration, and the T-Mobile Voluntary Refund Program. As Senior Vice President of Operations, Brian Burke oversees GCG’s 60,000-square-foot Mail, Call and Processing Center in Dublin, Ohio, which supports the hundreds of active class action settlement administrations, restructuring and bankruptcy administrations, and mass tort settlement programs GCG has in progress at any given time. Mr. Burke has overseen many of GCG’s most challenging Contact Center programs. He was at the helm of the Gulf Coast Claims Facility, for which GCG handled seven million phone calls over the life of the program, as well as the Deepwater Horizon Economic Settlement Program, the Indian Trust Settlement Program, theWorldCom Settlement, the American Airlines Chapter 11 proceeding, the In re Vivendi SA Securities Litigation administration, and the T-Mobile Voluntary Refund Program. He has designed and implemented several Contact Center programs where GCG acted as a customer service arm of its clients, providing information and support to current customers of those clients, demonstrating the high level of professionalism and expertise he and his team bring to these programs. 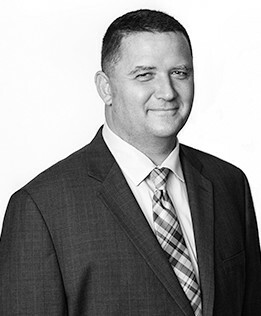 Mr. Burke’s understanding of Contact Center and processing operations, combined with his experience effectively training and managing staff has spurred the successful growth and expansion of GCG’s operations capabilities. Under his direction, GCG adopted and uses state-of-the-art mail room technology to conduct sorting, document scanning and record association, and electronic and hard copy storage relating to millions of pages of information every day. Mr. Burke also oversees the company’s proprietary system for managing calls, which enables GCG’s Contact Center to respond to thousands of calls simultaneously, in dozens of languages, while still meeting or exceeding industry standards for customer service.